You'll never guess what that's painted on. Taxidermied lions with their mouths fixed in open roars. 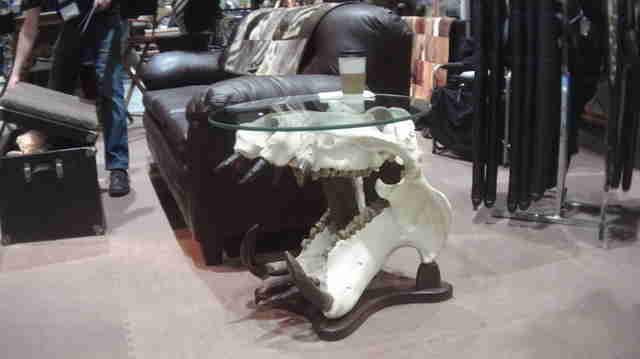 A glass table with a base made from the large white skull of a dead hippo. 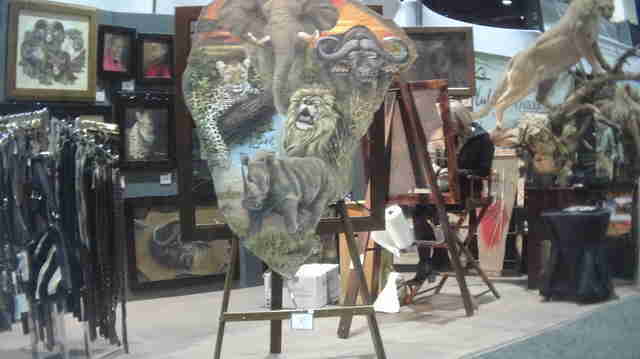 Pictures of African wildlife painted on elephant ear canvasses. 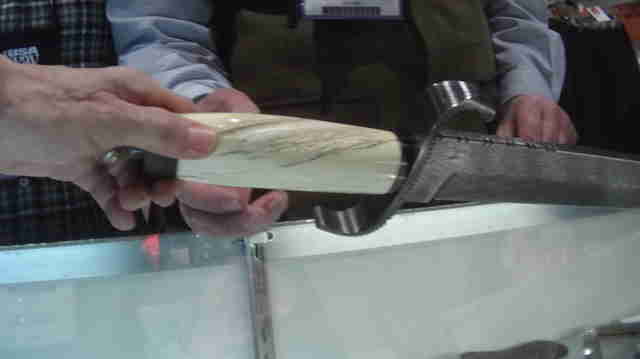 These were just a few items displayed for sale at the Safari Club International (SCI) annual hunters’ convention, which took place two weeks ago in Reno, Nevada. Guests could also book special hunting trips to kill elephants, lions, cheetahs or rhinos, and take home the animals’ taxidermied bodies as trophies. 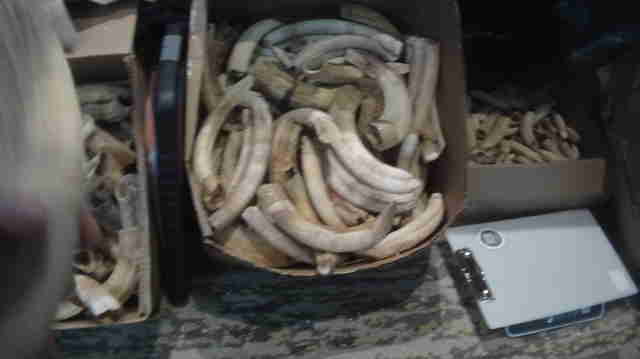 These animal trophies and hunting trips were certainly controversial to animal lovers — but many items were also being sold illegally, according to an investigation by the Humane Society of the United States (HSUS) and Humane Society International (HSI). 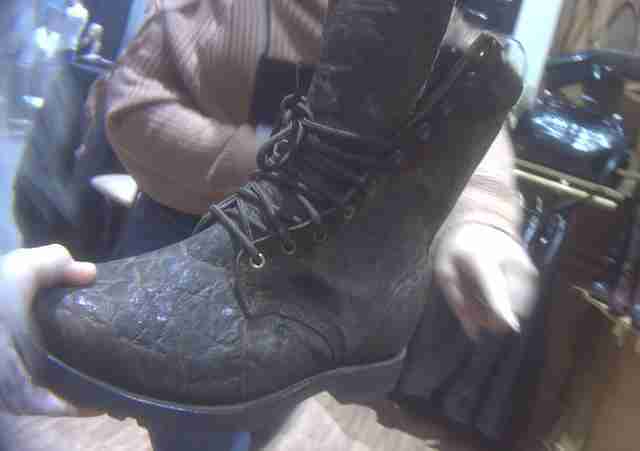 Yet many banned items were openly for sale at the convention, according to HSUS and HSI, who sent undercover investigators to the convention. For instance, there was a bench made out of elephant skin, as well as elephant leather boots and saddles, an entire mammoth tusk, boxes of hippo teeth, shark skin belts and a knife with a handle made from a narwhal tusk. To Kitty Block, president and CEO of HSUS, the most shocking items were the paintings that used an elephant ear and other parts of elephant skin as the canvas. Unfortunately, SCI didn’t seem to be monitoring the vendors or making sure they complied with the local law, Block said. However, HSI and HSUS reported their findings to the Nevada Department of Wildlife and Reno Police Department, and a state investigation is currently underway. The HSI and HSUS investigators were also surprised to see that canned hunts — where animals are bred in captivity so that hunters can pay to kill their babies — were being sold at the convention. 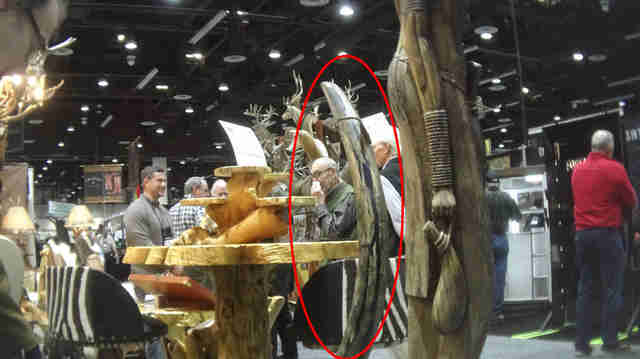 While these hunts aren’t specifically illegal under Nevada law, SCI has previously claimed that it does not allow them to be sold at its conventions. SCI did not immediately respond to The Dodo’s request for comment. While Block is very encouraged by Nevada’s new law, which takes a strict stance on wildlife trafficking, she believes a lot more needs to be done to protect animals. To help protect endangered animals like lions and elephants, you can contact both your state and federal elected officials and urge them not to support trophy hunting. You can also support wildlife trafficking investigations by making a donation.